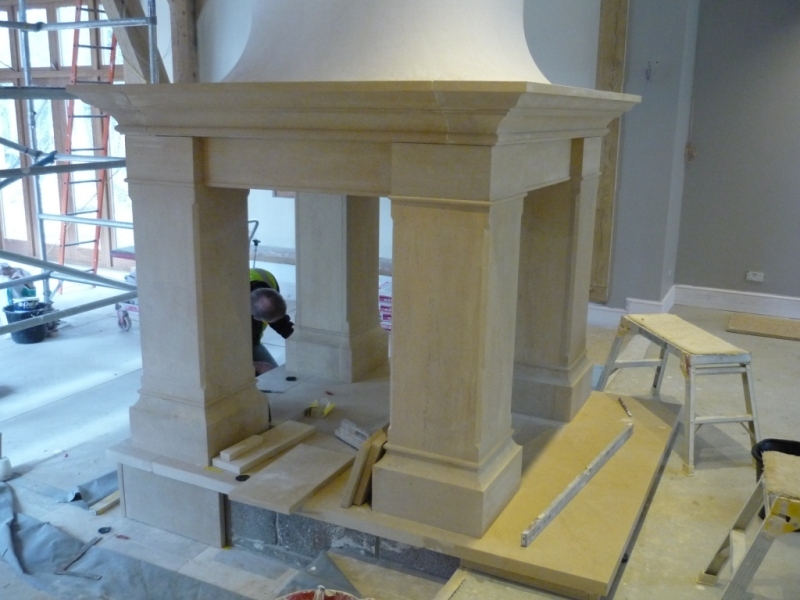 This amazing four sided bathstone fireplace was one of the most complicated fireplace projects carried out by The Billington Partnership. 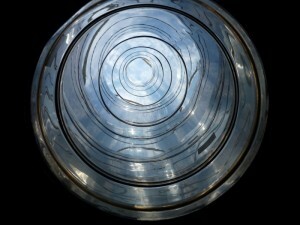 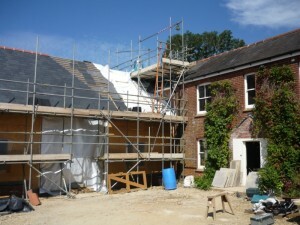 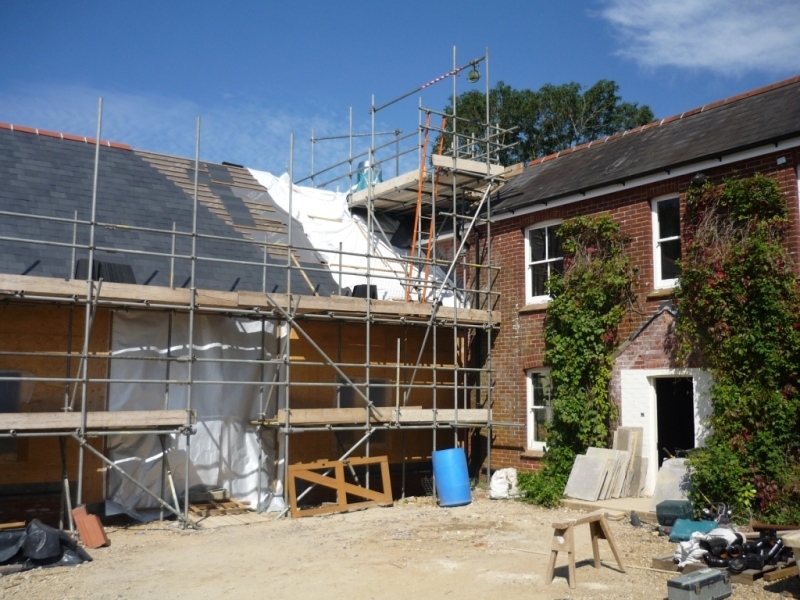 Chaplin Farrant architects from Wiltshire appointed us for the installation. 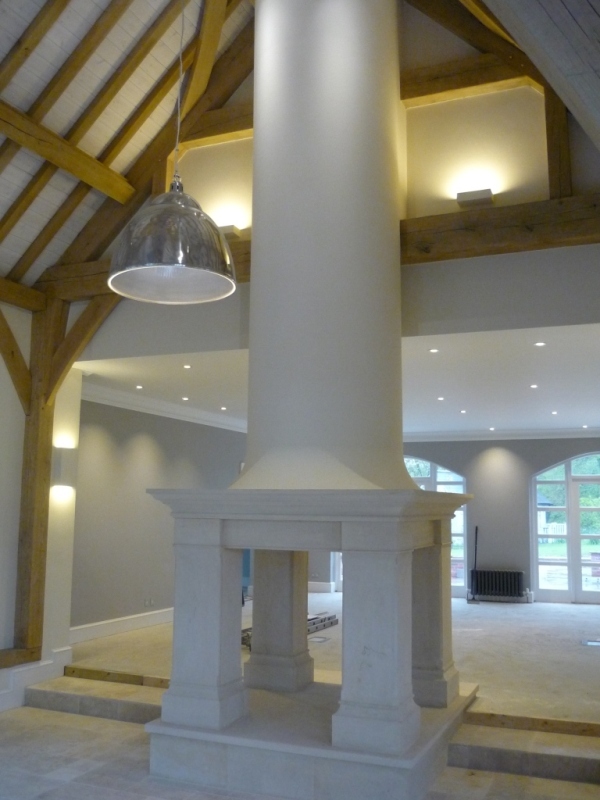 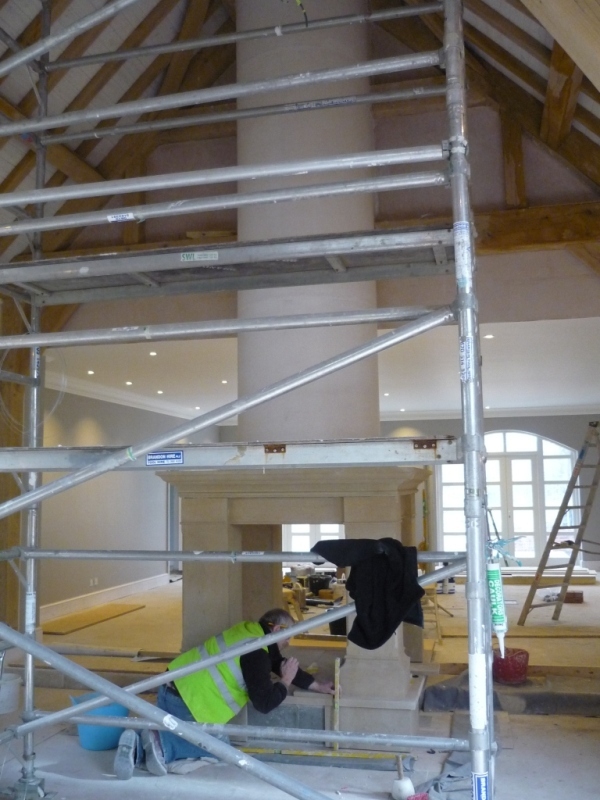 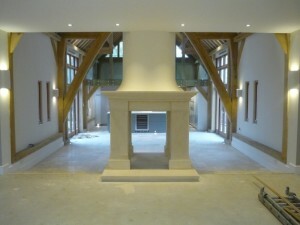 Their client wanted to install a large open four sided solid fuel fire in their new barn conversion. 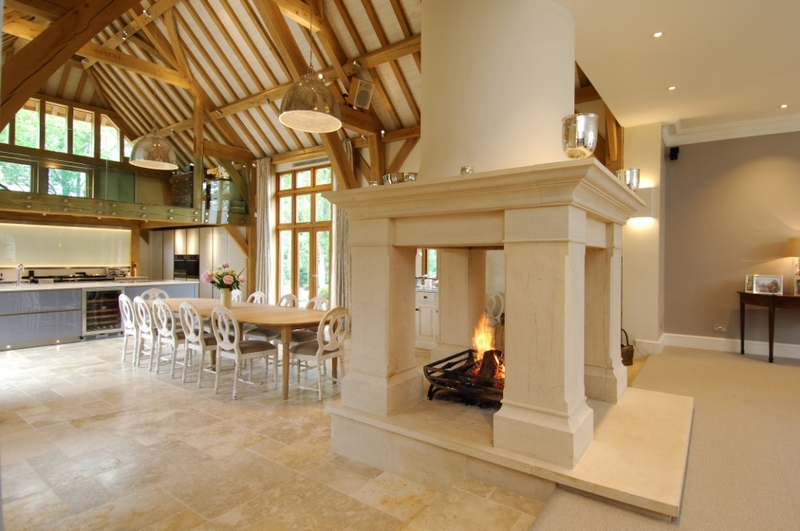 Seen from all sides, this bathstone fireplace was to be the most sensational feature in the barn. The client also requested a rounded look to the chimney stack. 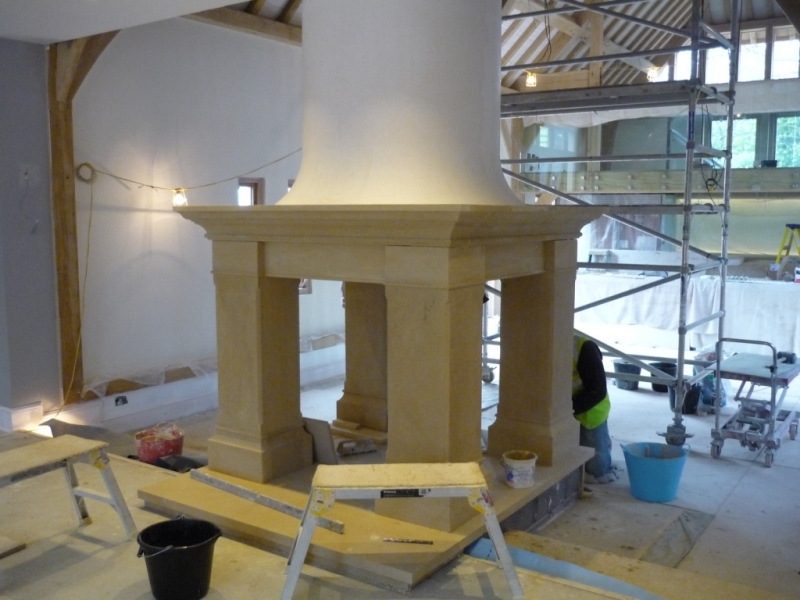 Furthermore, and another key point, we had the added complication of the client wanting a brick built round chimney at the top. 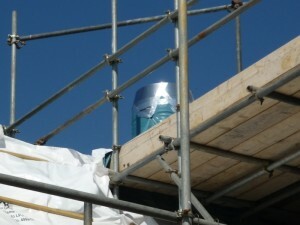 This meant a steel structure had to be constructed to hold the flue in place. 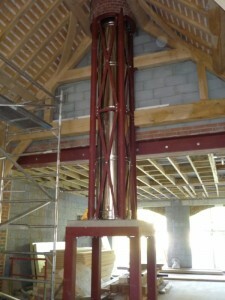 Consequently, to take the weight of the bricks at the top. 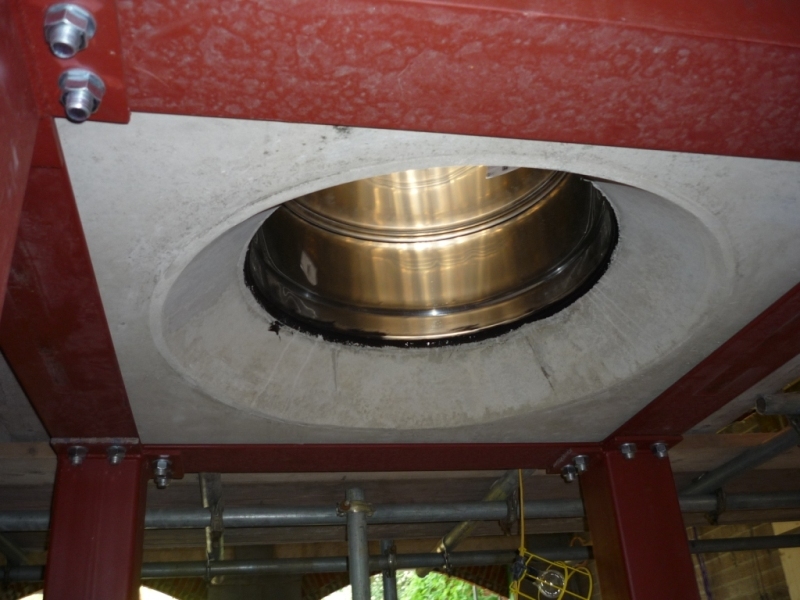 On a positive side, with careful planning and coordination between us, the architects and the on site team, the installation of the flue took place without any incurring any problems. Finally, once the installation of the flue was completed, the large fireplace could then be fitted. The fireplace was made in carved solid bathstone. 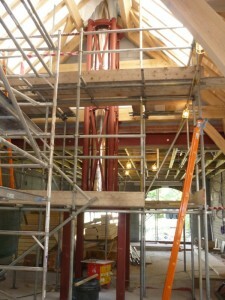 It wrapped around the steel frame to form the most spectacular central feature in this room as shown in the images.